For years, Claude and Jean-Luc Bohler dreamt of acquiring a small vineyard, where they could make an authentic wine, a “terroir” wine. 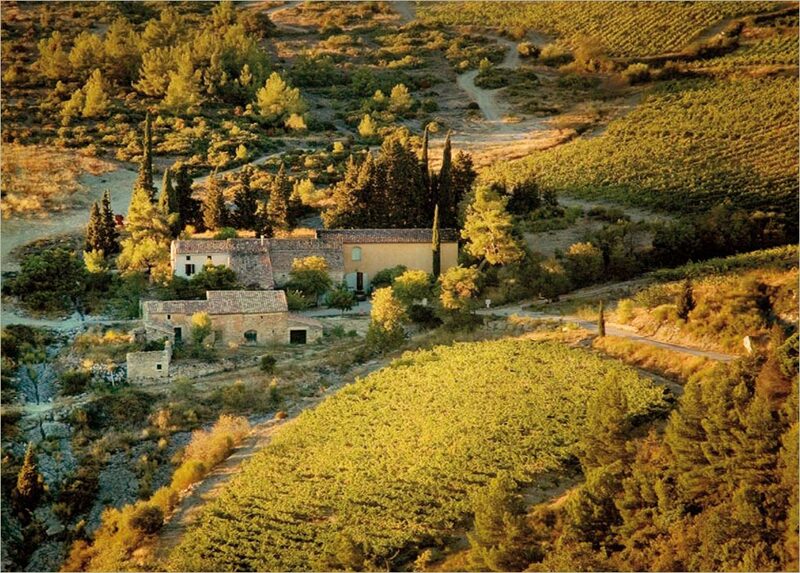 When, in 1995, after two years of unsuccessful research, they travelled down from Minerve to the plain and discovered the “landscape” of the Domaine de Cantaussel; the calm, the beauty, the minerality and the harmony of the place seduced them immediately. The topography, the soil and the modest superficies of the vines (10 ha) also convinced them. The Domaine de Cantaussel is on sale, they are definitely going to settle down here! This ancient domaine is located on the « petit causse », at an average altitude (300 m), nestled in a scrubland area, a few kilometres north of Siran, towards the west side of the Hérault county. The soil is composed of calcareous sediments as a result of erosions which have accumulated in a narrow combe, north-south facing. The poor earth vein and the source rock are located on a steep slope. The permanent fight against erosion had lead the elders to build, wherever the slopes were too steep, some terraces, held by riprap and dry stone walls patiently assembled over the centuries. But the history of the area goes much further, judging by the remains of the gallo-roman oppidum, located on the domaine, on the summit of the Pic St Martin, and a few dolmens on the limestone plateau nearby. Formerly Cantaussel only produced small amount of wine, for family use. The former owner himself abandoned this activity and sold his grapes through the cooperative. There was no real winery and the facilities were rudimentary and obsolete. Not to worry. Claude and Jean-Luc Bohler decide to create a modern winery, following the principle of gravity winemaking. The winery’s architect Marcel Roger is in charge of designing it, and achieved the incredible challenge of finishing the project in less than six month. The winery is mainly underground, carved in the rock, with the upper level aligned with the vines. It became operational for the first harvest, in September 1996. Later on some restructurations of the vineyard were needed, in order to extract the best out of it, understand its personality, its secrets and expectations. The commitment is to always tend towards the best quality produce, maintain a small production, and respect the soil, the vines and the environment. This also means having to learn about the area, its climate, its characteristics and its people. But also to stand strong after the catastrophic storms of 1999 and fix the soil and the walls. Ultimately this is what it means to become winemakers.